Kick back and relax while you show off your team on the beach! 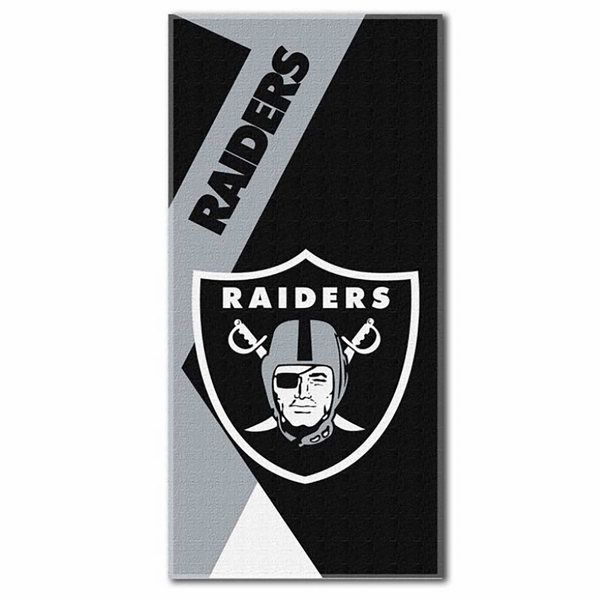 The Raider Oversized Beach Towel Puzzle by Northwest Company features a Raiders� team colored design with official wordmark and shield logo. Measures approximately 34� x 72�. 52% cotton, 48% polyester.